Fifteen years ago, in September 1989, Jacor Broadcasting and a very talented group of individuals took a huge chance. 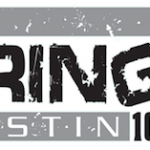 The chance was taking a 100,000 watt flame throwing FM into a direct format competition against the powerhouse ratings winner, the then legendary Q105 (WRBQ FM & AM), owned then by Edens Broadcasting. It would give Tampa Bay a REAL Top 40 station playing all the hits, fun to listen to, always leaving you wanting more or wondering what they would say or do next. This compared to Q105’s more adult top 40 lean, known by most as having D.J.’s who talked way too much and for playing tons of commercials, even playing oldies from the 60’sand 70’s in it’s version of “Top 40”. Q105 had been on top for years in Tampa Bay, earning it’s “legendary” badge with the Q Morning Zoo’s Cleveland Wheeler (and Scott Shannon in the early days), Bobby Rich, Mason Dixon and Brian Christopher running the show, and making the station worth nearly $80 million. 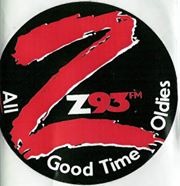 Jack Harris left the #1 QZoo for mornings at oldies Z93, Jon “Rock N Roll” Anthony left his HIGHLY rated #1 night show at Q105 also for oldies Z93 to do the night shift, several members of promotions and sales also left Q105 for then oldies Z93. Plus, for the first time ever, the big QZoo was showing audience loss to then rock station 95YNF morning guys “Ron&Ron”, known as on air bad boys & rebels. Enter into the picture, WFLZ (Z93) parent company Jacor Broadcasting’s COO Randy Michaels, a known bad boy in the industry himself. He decided that Q105 was ripe for a challenger, but winning wouldn’t be easy. Using the tremendous talent already on board his oldies station (and of course, a lot being former Q employees), Randy decided to go for it. With the motto being simply “Take Q105 down at ALL costs” , a week long on air tease of holding the Top40 format for “ransom” began. This began the intense “mind-games” of the battle, something Q105 didn’t fall victim to right away, but proved to be a key factor in it’s demise. Randy and the Z93 staff demanded $1 million (and up to $4 million) through that week from Q105 if they wanted to keep the monopoly hold on the top 40 format in Tampa. Q105 didn’t budge, ignoring the demands and now parodies of the Q jocks airing on Z93. They also had to ignore the daily newspaper and TV news coverage the ransom request was receiving. Mr. Edens had said the magic words that launched “Power 93 – The Power Pig”, which knocked Q105 out of the #1 ratings slot in just… 71 days. The Power Pig quickly earned it’s own ‘legendary” badge, breaking all rules on air and off the air. The Pig’s quick “worst to first” success was due a lot to just simply playing the CURRENT HITS, something the Q wasn’t doing with it’s 20-25 song play list at the time. But some of the stories you’ll read here explain how The Power Pig used simple “mind-games” or “mind-tactics” to keep Q105’s eyes and main focus OFF the ball, and on everything BUT the real battle itself. It was the icing on the Power Pig’s cake of success. And also the success of WFLZ’s switch to the Top 40 format.